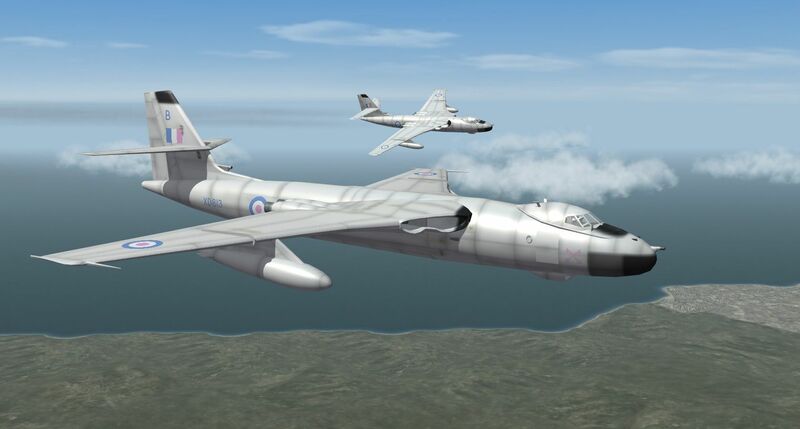 Only a 'what if' in so much that No.21 never operated this fine British bomber although they did operate Canberra B.2's and B.6's. 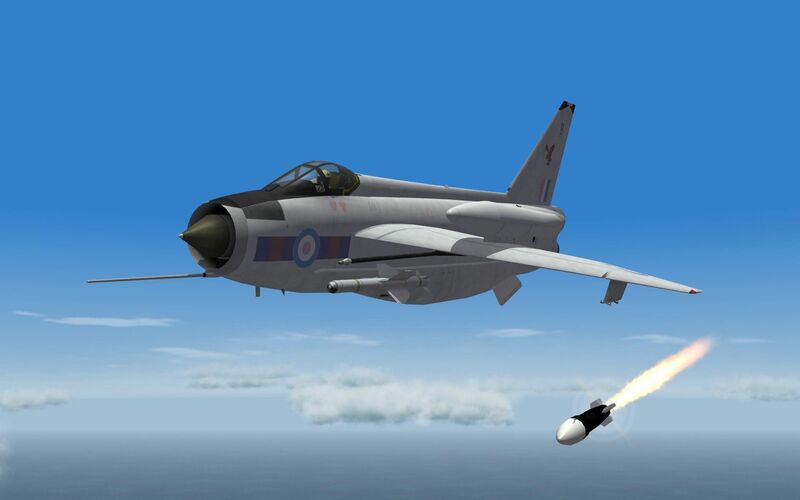 Joint exercises with the FG.1's of 899 Naval Air Squadron. 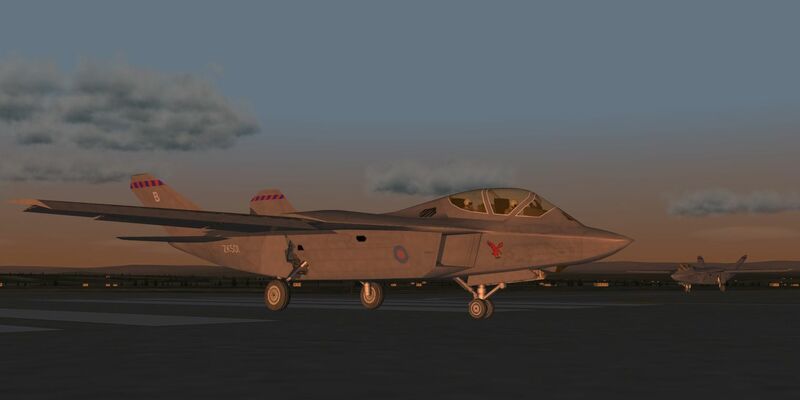 Julhelm's AFX 'Shadowcat' with a simple grey skin made all the more easier by the release of a superb template. 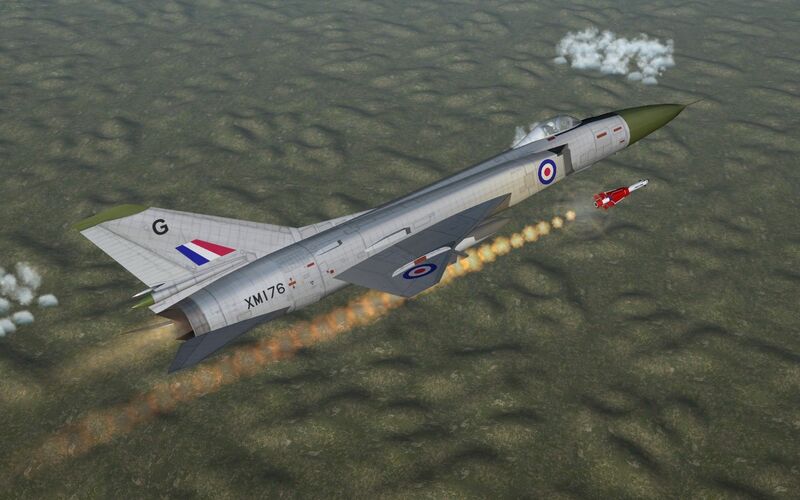 Mustn't leave out 899's 'Flying Fist'. 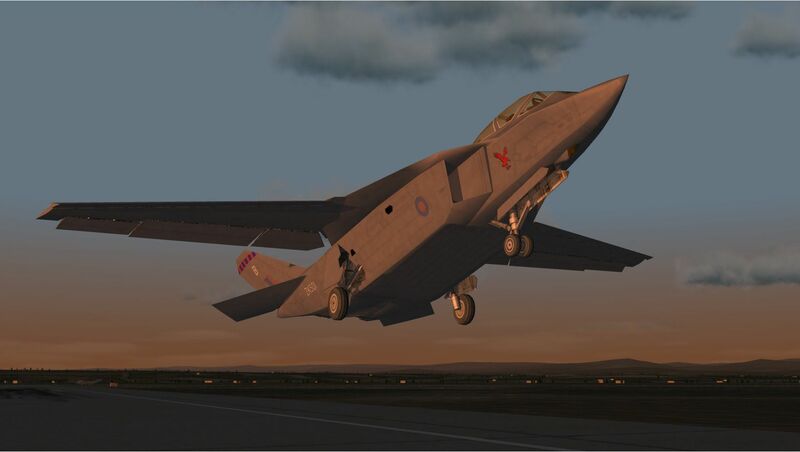 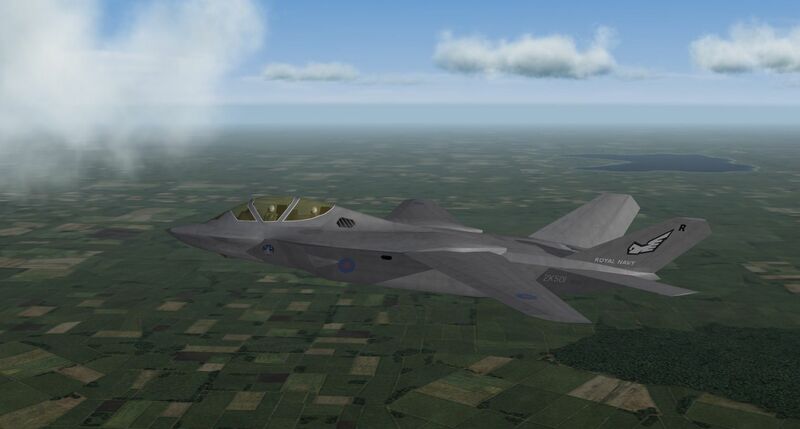 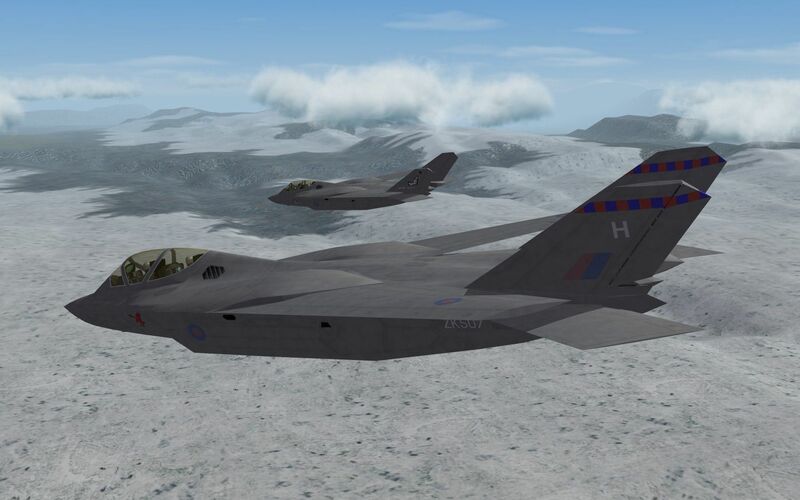 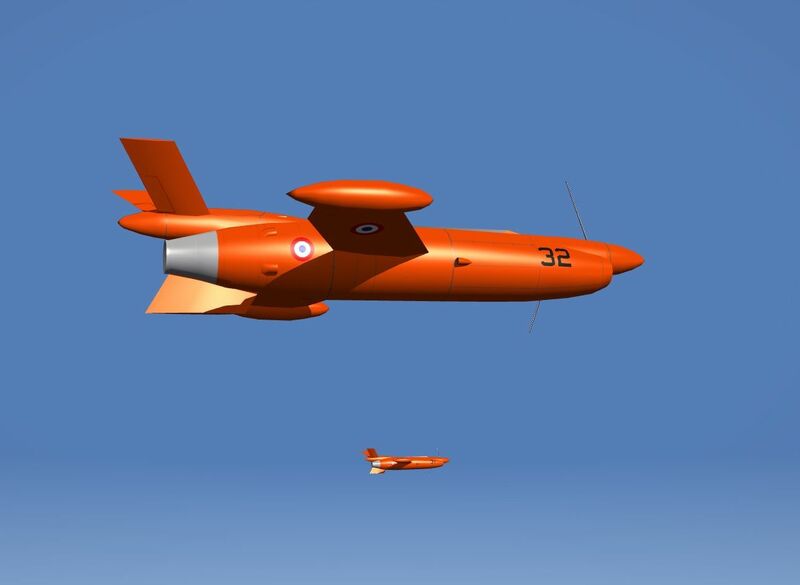 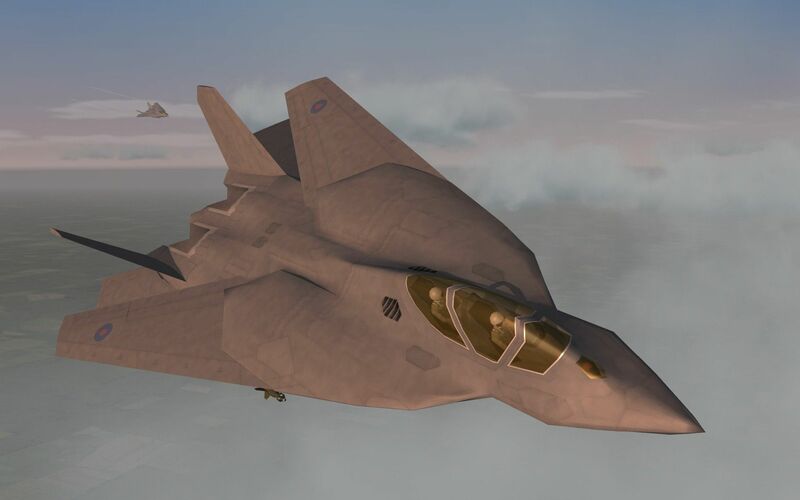 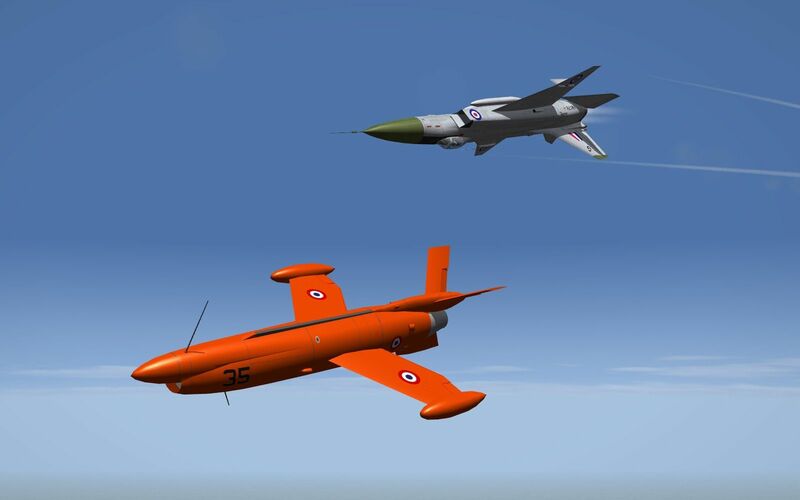 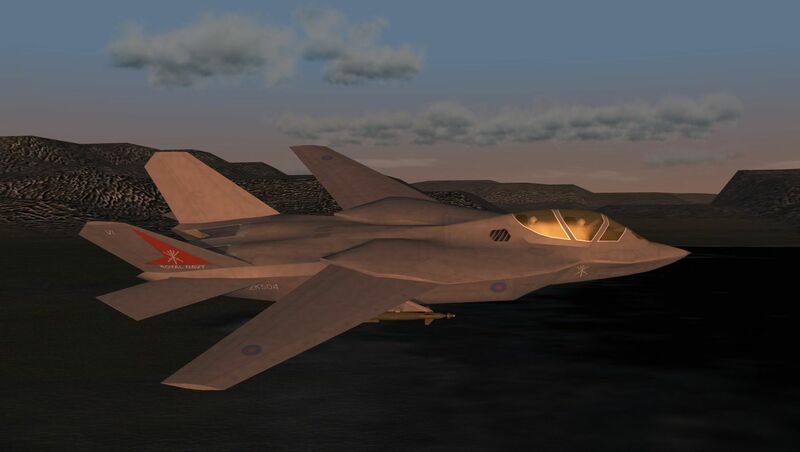 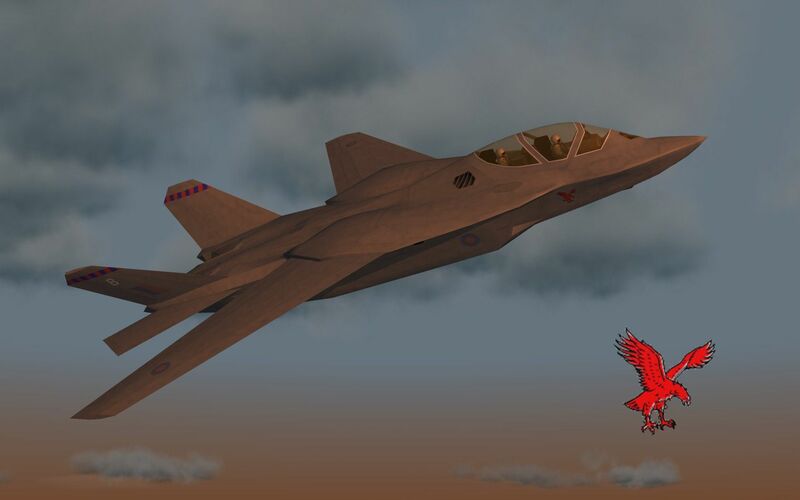 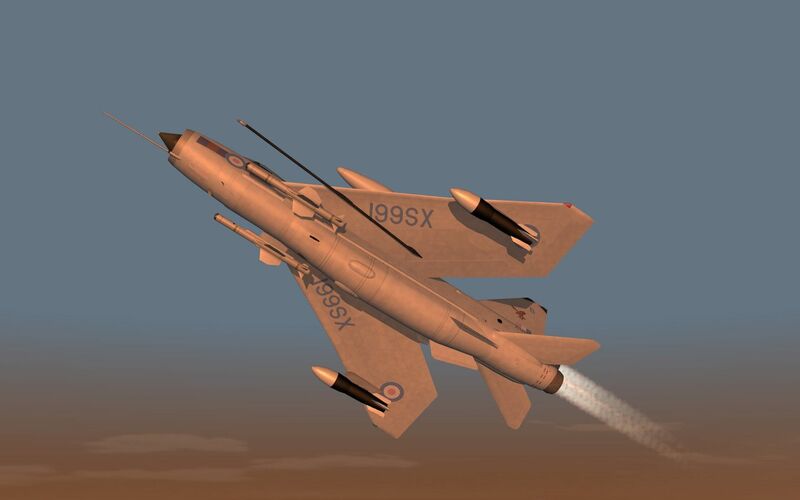 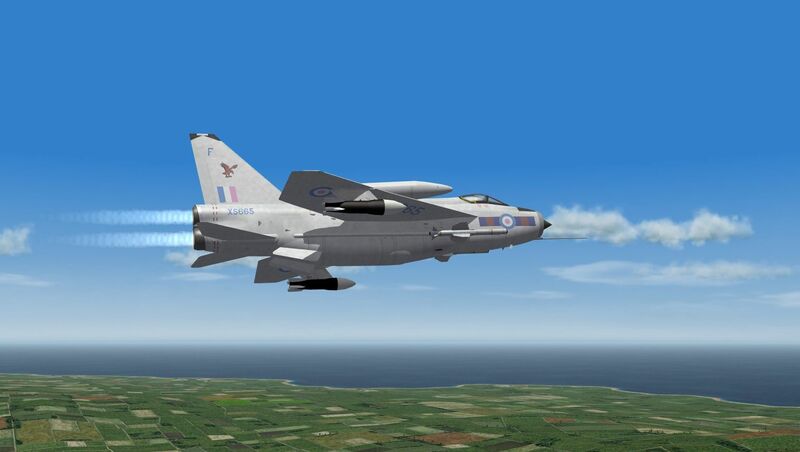 In mid-1966, in a radical move, the Leuchars based No.23 Squadron were re-equipped with the BAC Lightning F.6(N) (N for Nuclear) a long-range version of the F.6 with combat-rated overwing tanks and provision for the Douglas AIR-2 'Genie' rocket becoming the third and final user of this unguided nuclear-tipped weapon and, like Canada, using the type under a dual-key arrangement. 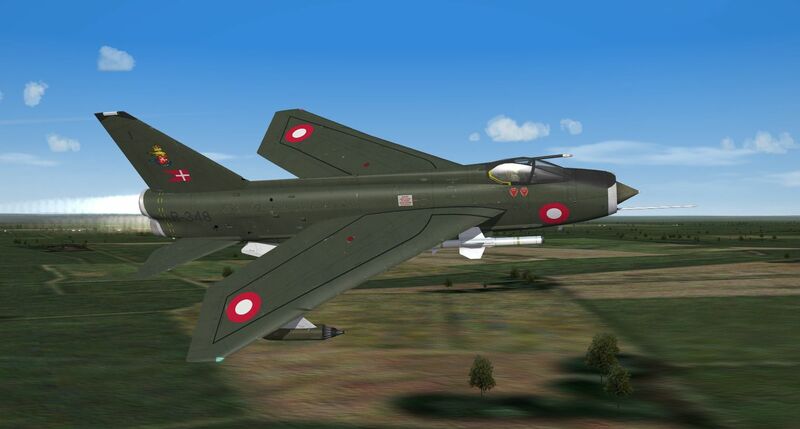 Like the contemporary V-Bombers the F.6(N)'s were painted in 'anti-flash white' but the type was withdrawn from service in early 1970 after just 40 months service and the F.6(N)'s were converted back to standard F.6's, even losing the useful underwing pylons, and by early 1971 all 72 Genie rockets had been ferried back to the United States. 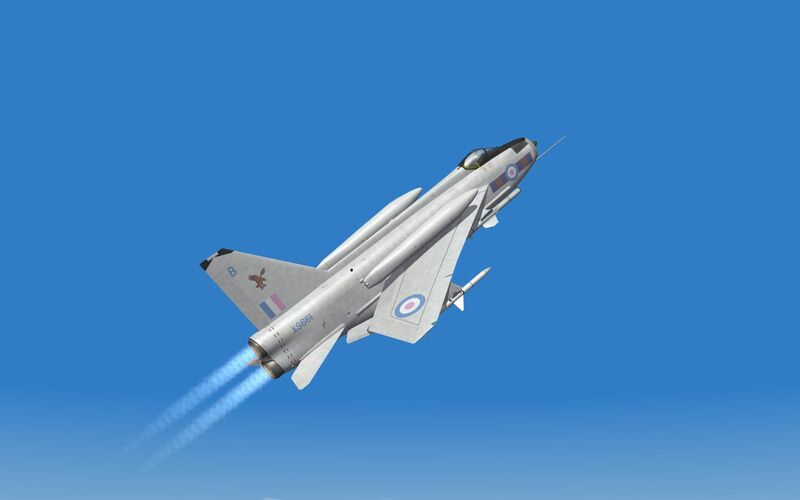 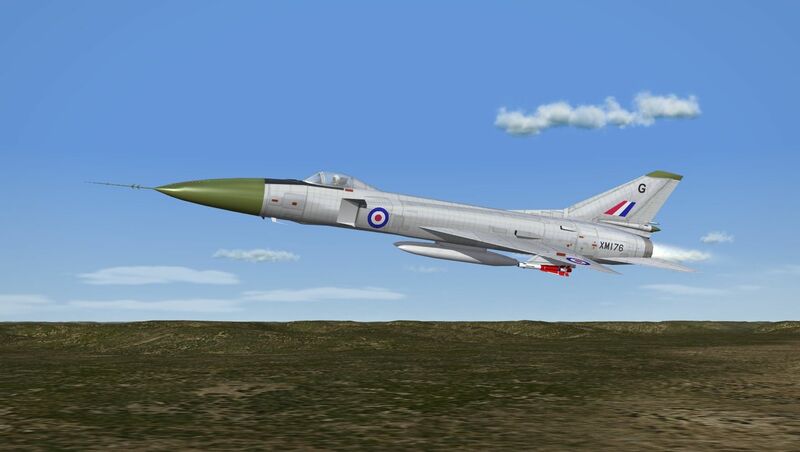 Thanks for your comments on the 'white lightning' it was fun to do but I just couldn't bring myself to bang those ugly missiles on the fuselage pylons. 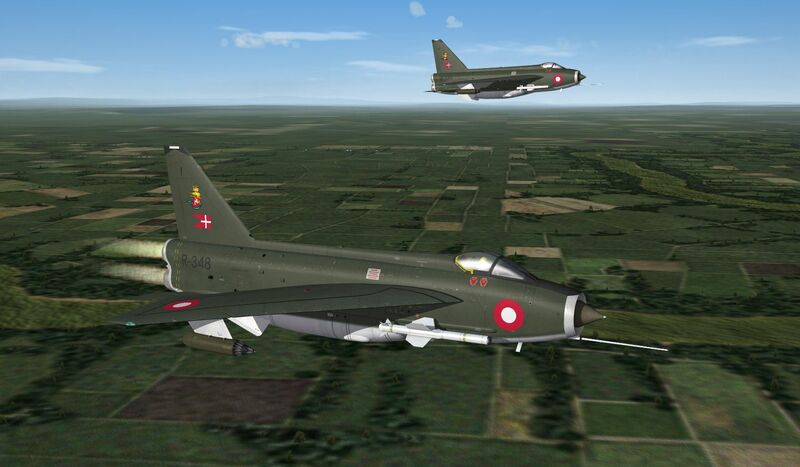 Anyway, the new 'Strike Fighters' Lightning comes with the classic RAFG 'Green' camo as worn by No.19 and No.92 squadrons and it was always going to find its way on a Danish Lightning! 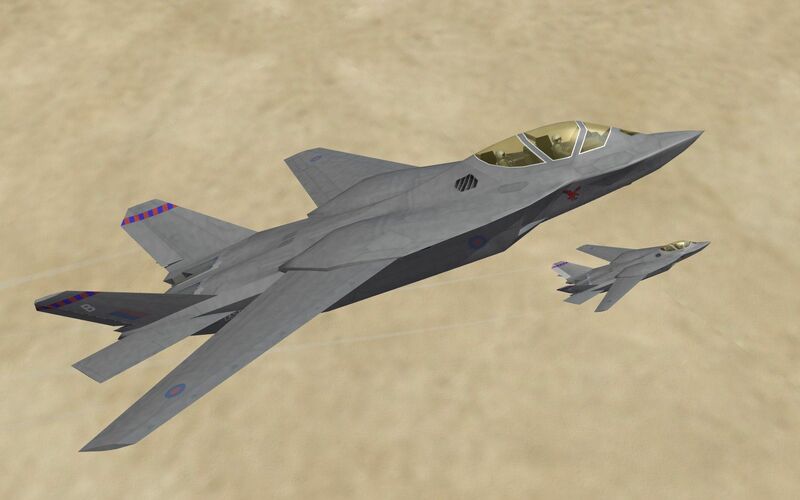 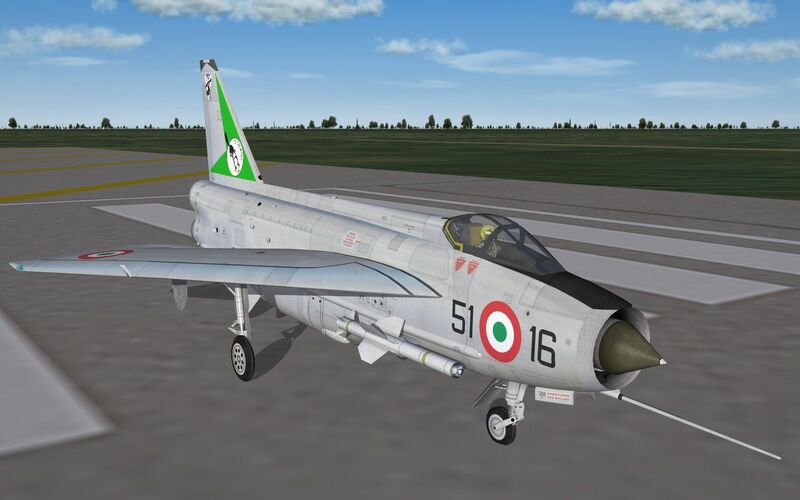 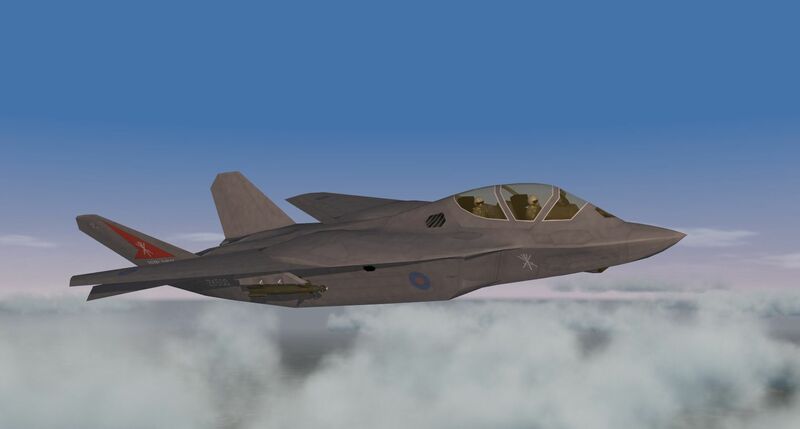 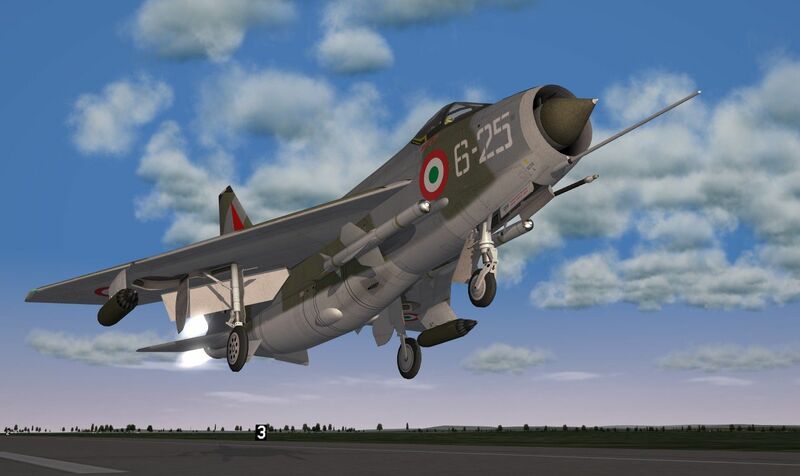 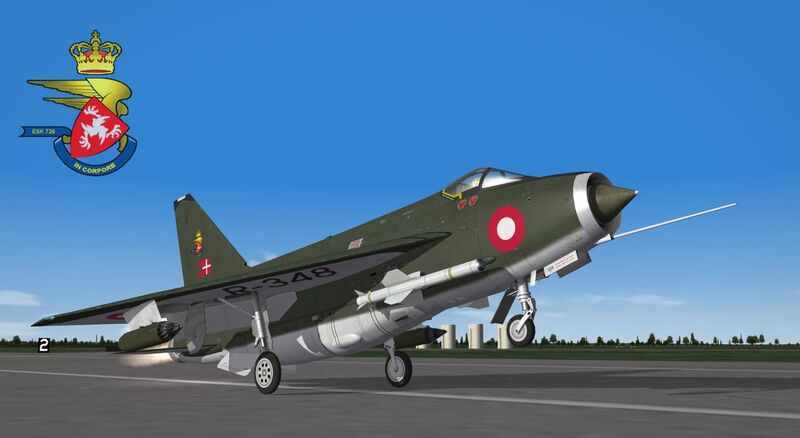 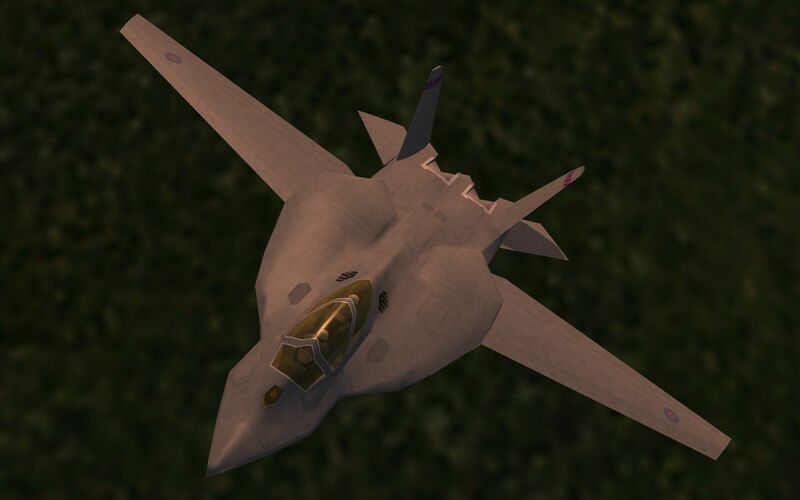 Rather conveniently, Third Wire have put this scheme in the F.3 and F.6 as well as the F.2 and F.2A (correct for both as some 'decoy' F.2's did receive the Green camo) and with simple edits you can put any skin on any Lightning. 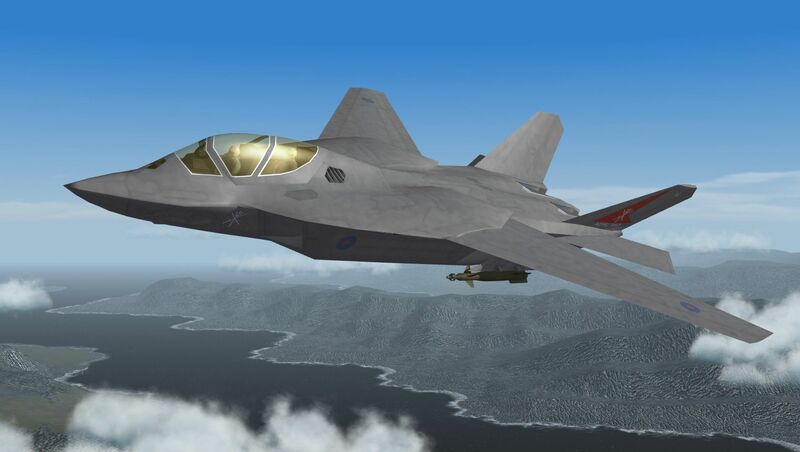 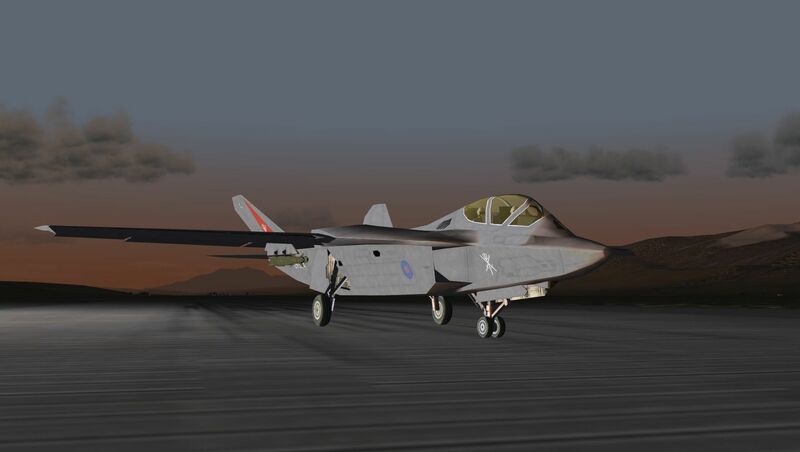 Indeed, the above F.2A scheme is on an export F.53 airframe. 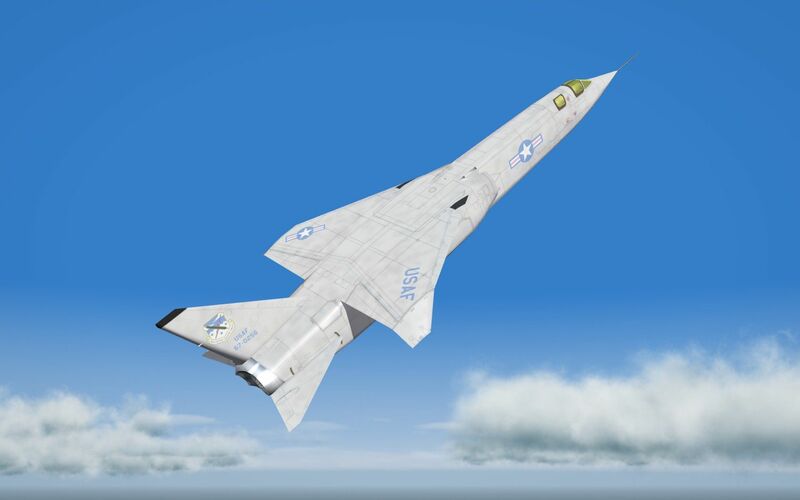 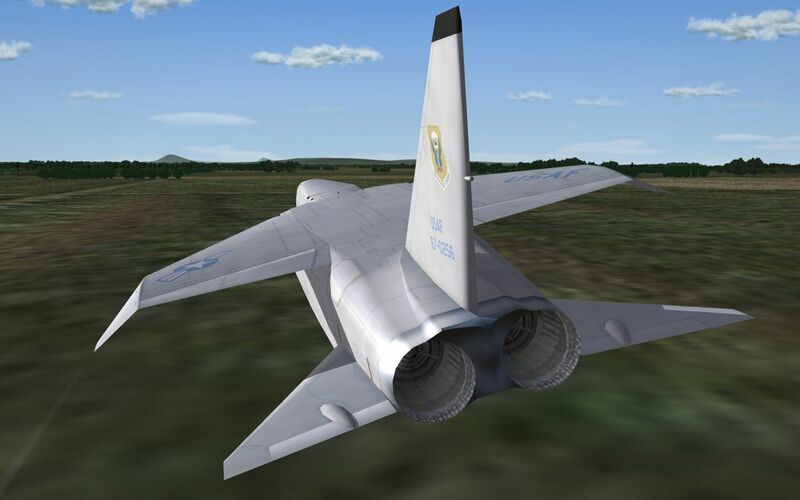 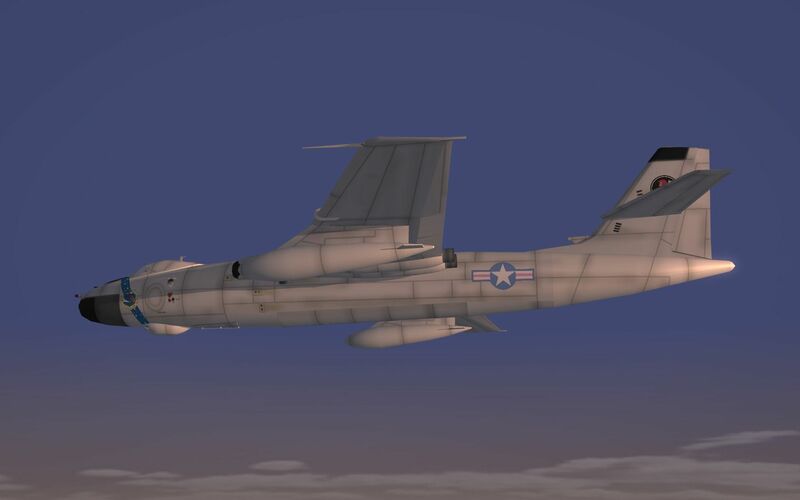 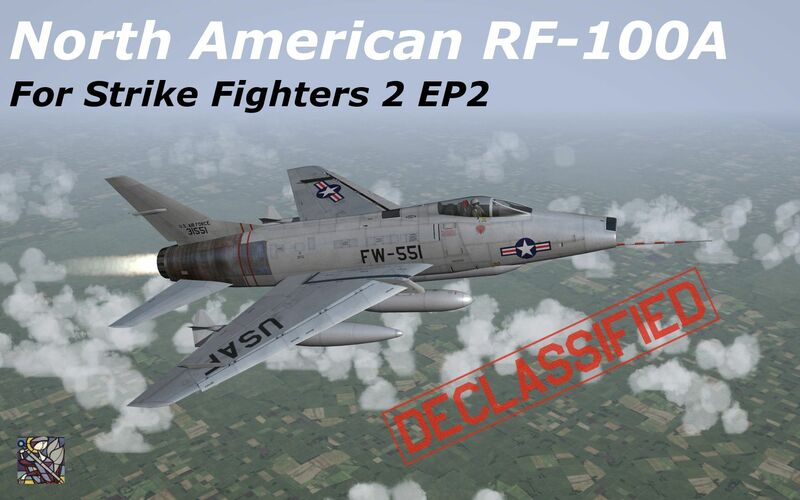 Not a 'what if' but the RF-100A has captured my attention today because I'd previously never heard of it! 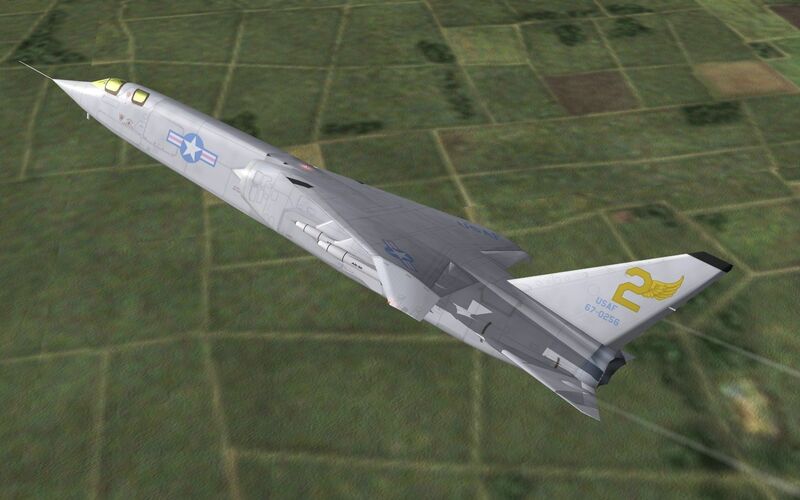 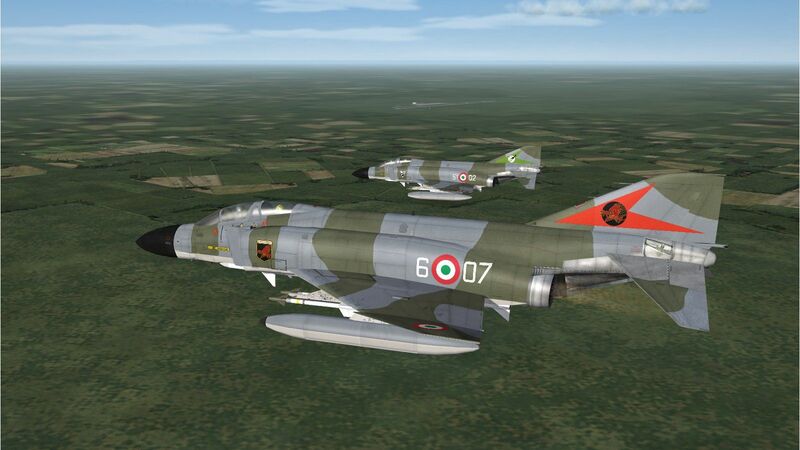 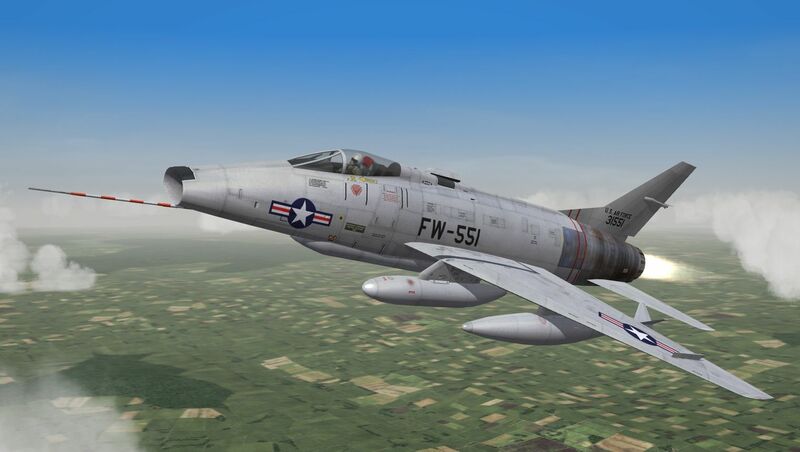 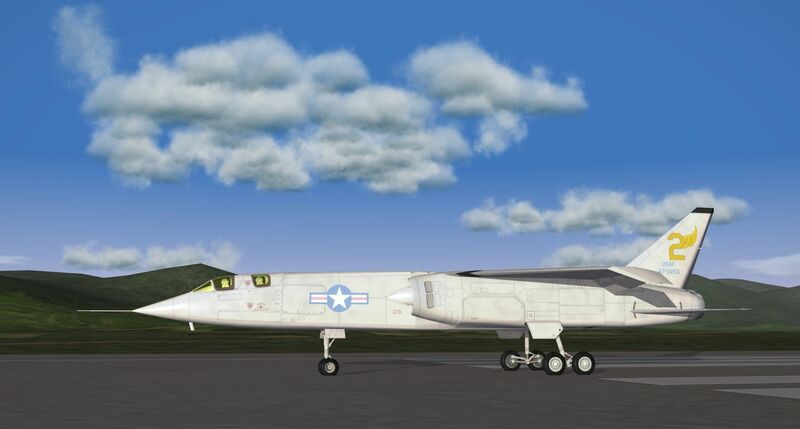 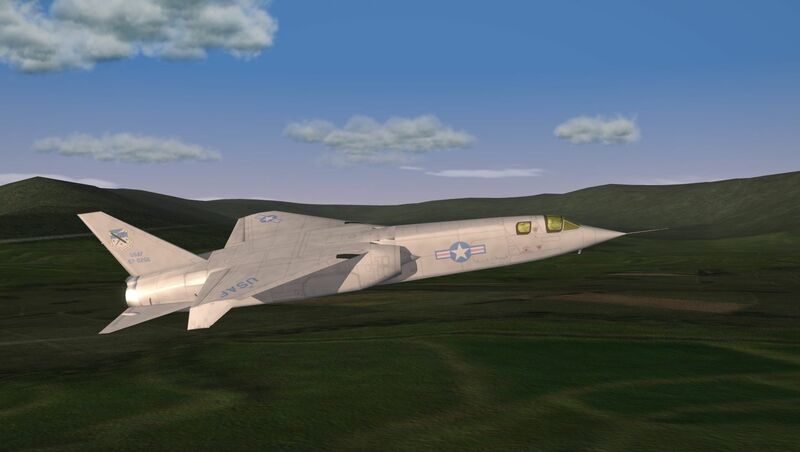 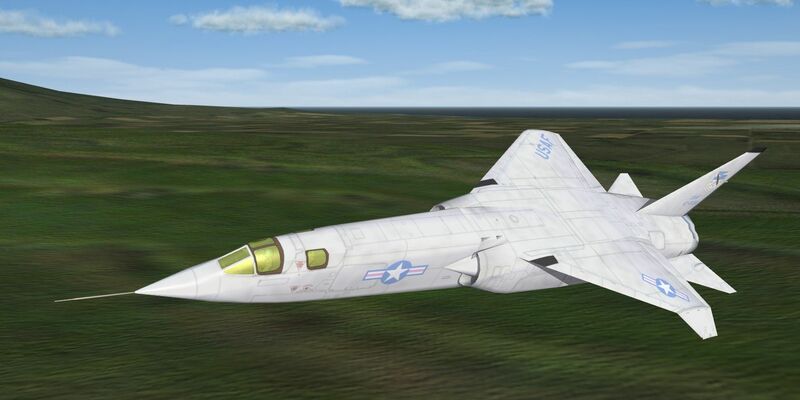 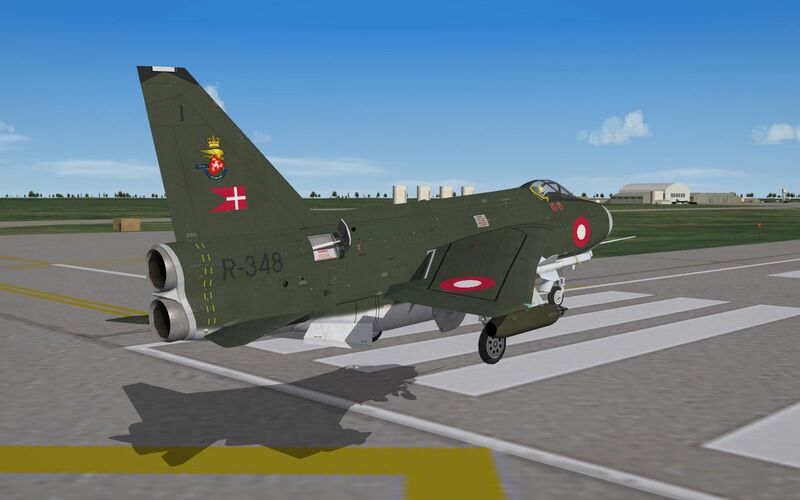 Apart from being stuffed with Lightnings the new Expansion Pack 2 has the F-100A and F-100C so a conversion of the F-100A to the RF-100A (only a handful were made) was a bit of a challenge to a non-3D modeller like me but I did what I would have done if it was styrene - raid the spares box! 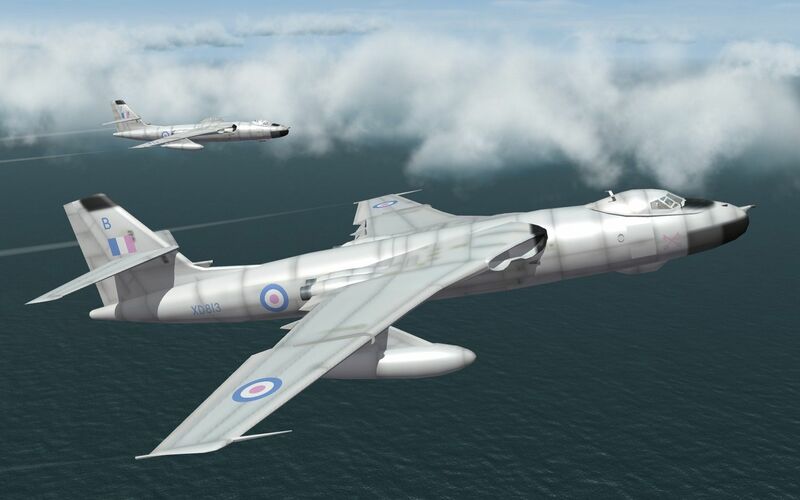 I love classic RAF camo as seen on Hunters, Phantoms and the Binbrook Lightnings. 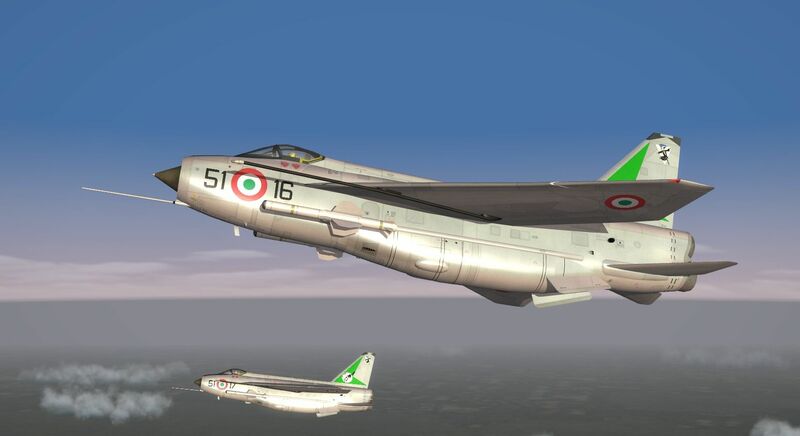 The similar Aeronautica Militare camo scheme seen on their Ginas and Zippers looks equally cool and, if anything, their roundels look even better! 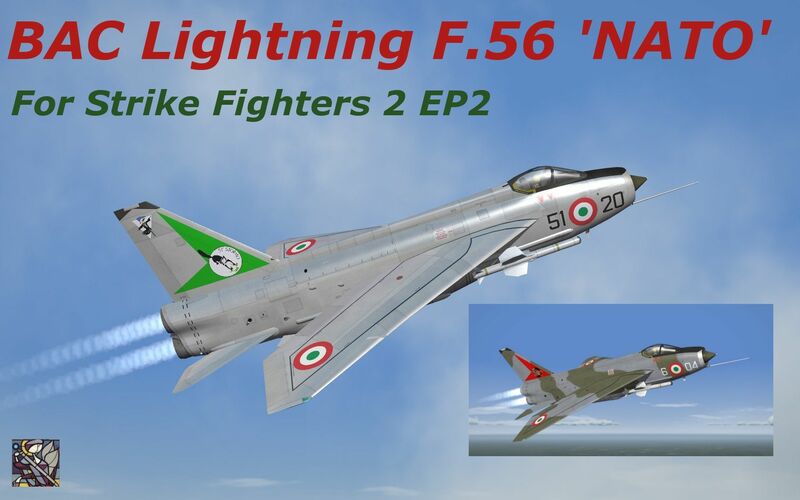 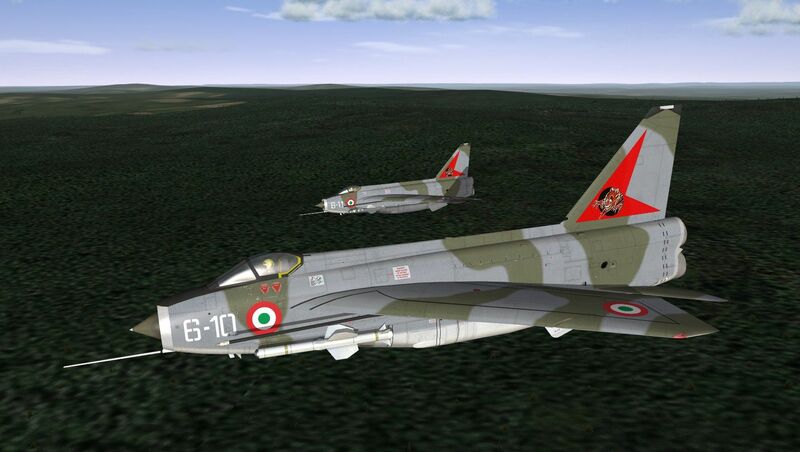 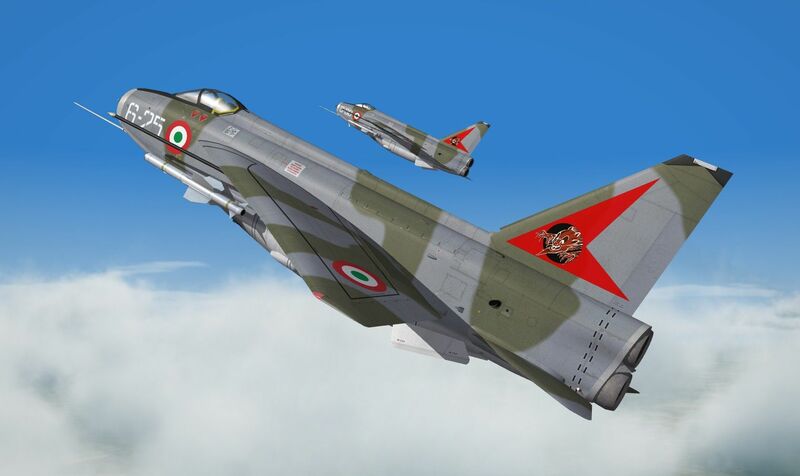 Add a little 'diablo rossi' to the fin and this 'NATO standard fighter' Italian Lightning is complete! 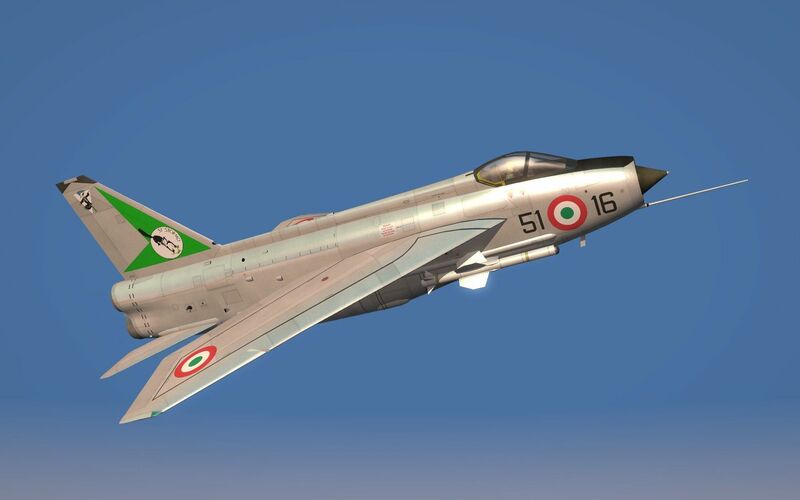 Re: Spinners' Strike Fighters Thread - BAC Lightning F.56 -154º Gruppo, 6º Stormo. 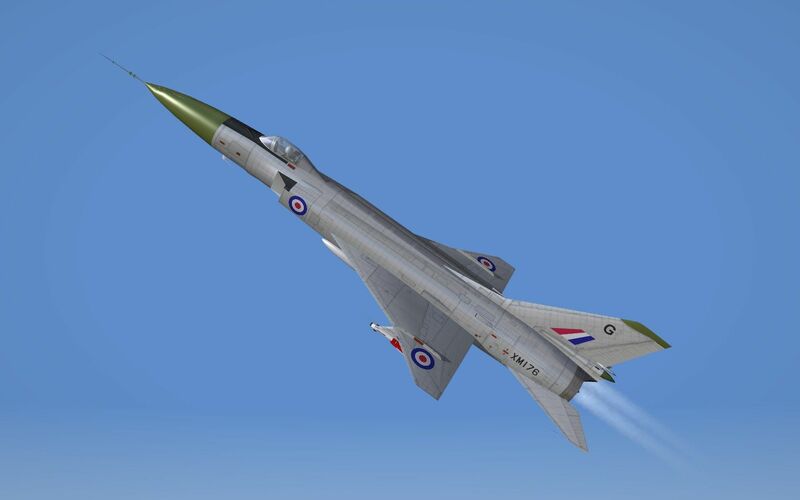 The development of the 'multi-role' F.53 export version of the Lightning coincided with dissatisfaction among European F-104 users and, along with the end of RAF production on the near horizon, gave BAC the inspiration to aggressively market the Lightning as a 'NATO standard' fighter-bomber with the Marineflieger becoming the first customer for the F.56 quickly followed by the Aeronautica Militare Italiana and the Royal Netherlands Air Force. 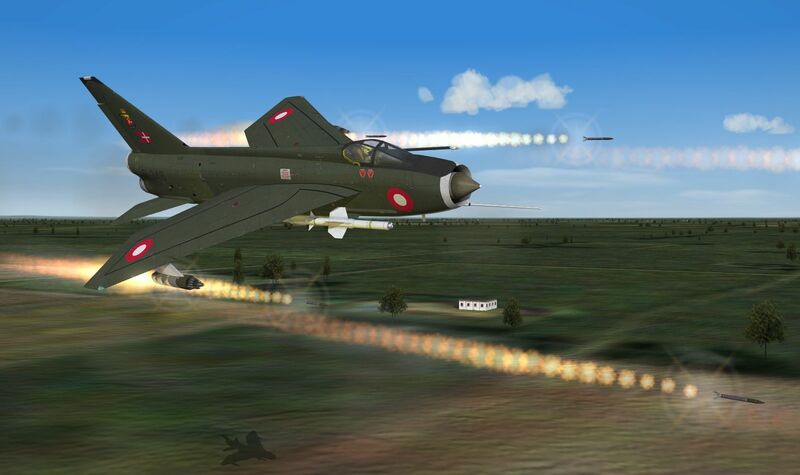 Now available for download at Combat Ace! 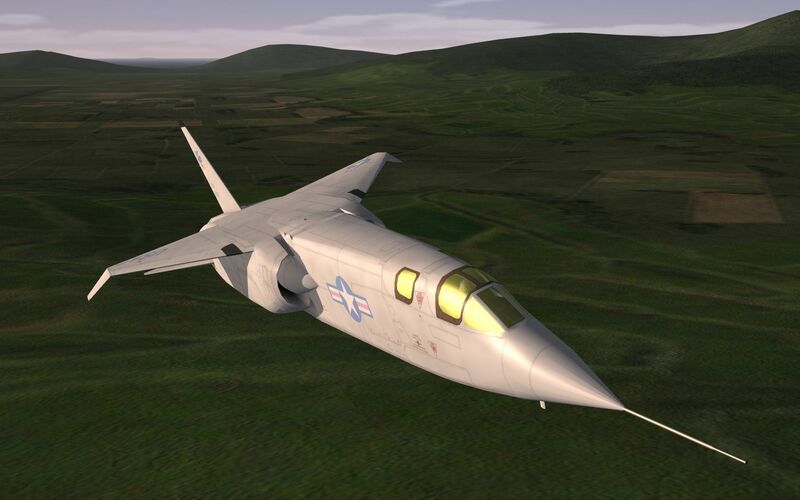 I love the 51 stormo 'cat' and worked it into a green fin marking - just slightly complicated by needing to create 'handed' versions for tail direction and due to the script becoming back-to-front if using the normal Reverse=TRUE statement). 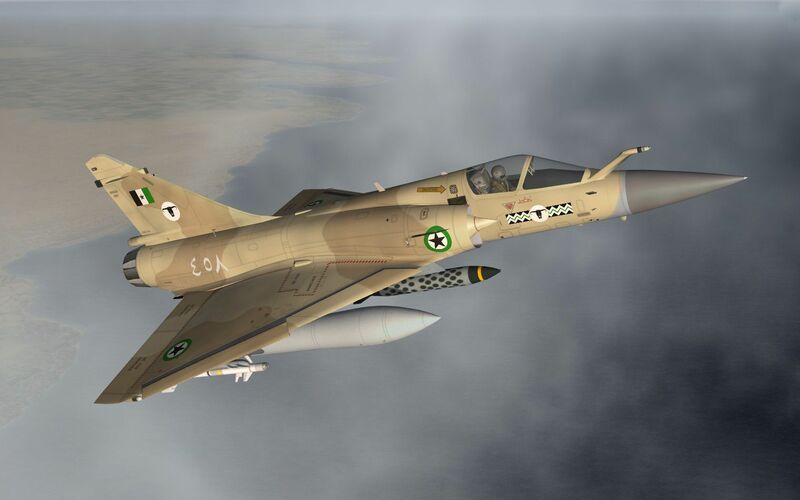 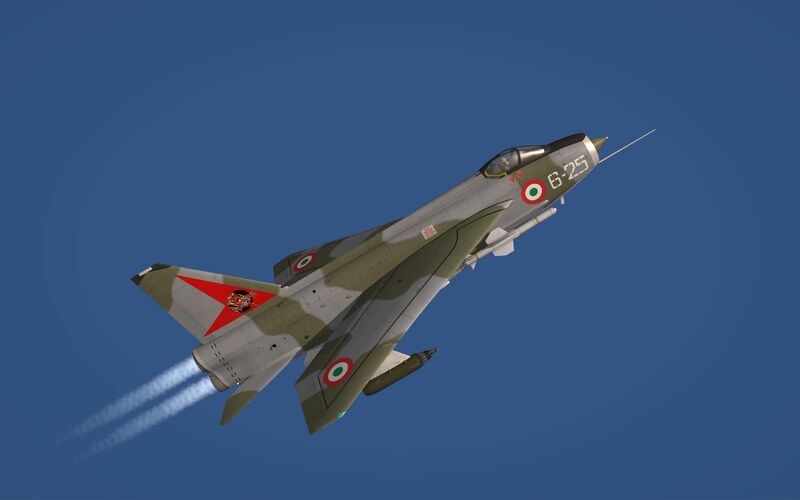 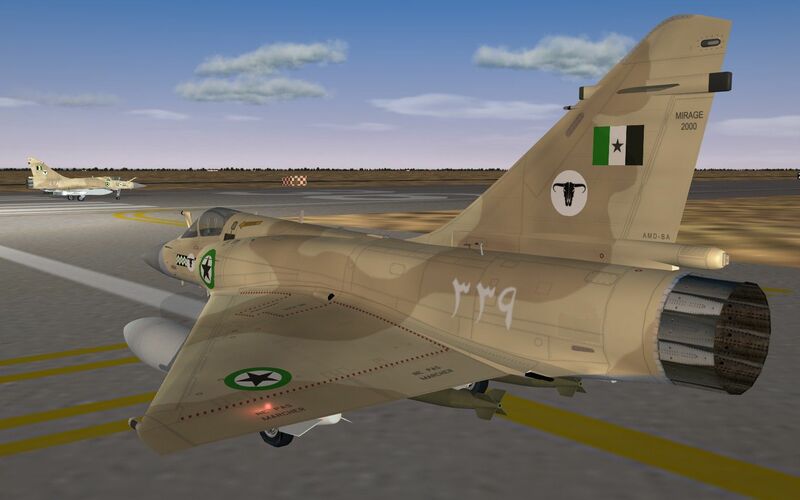 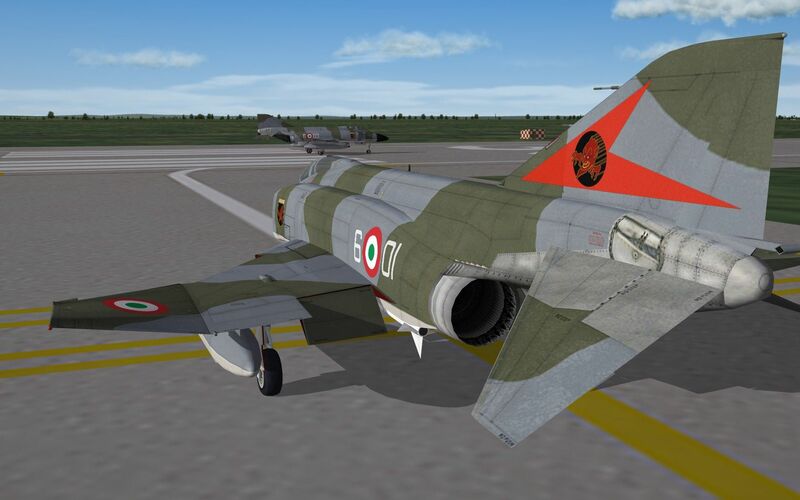 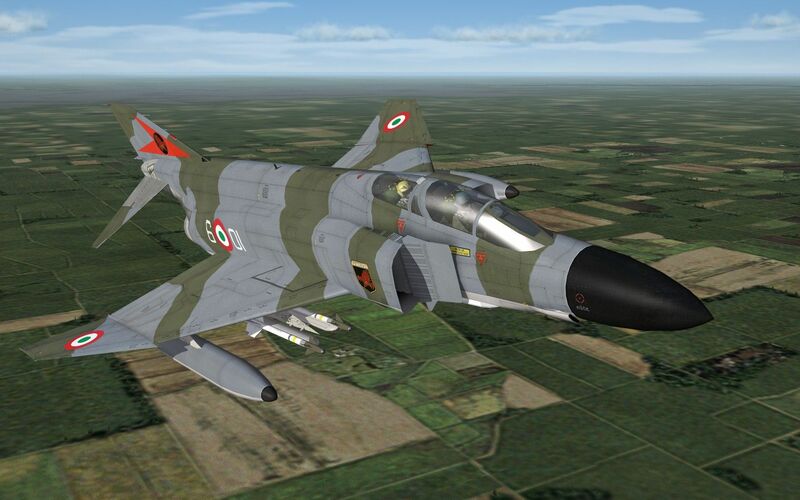 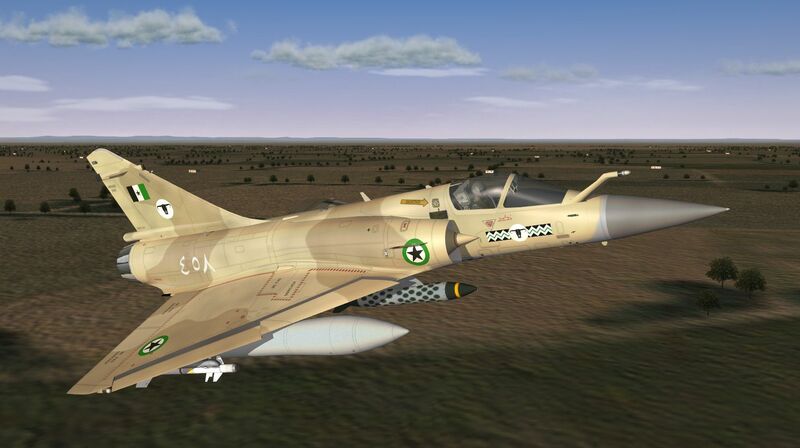 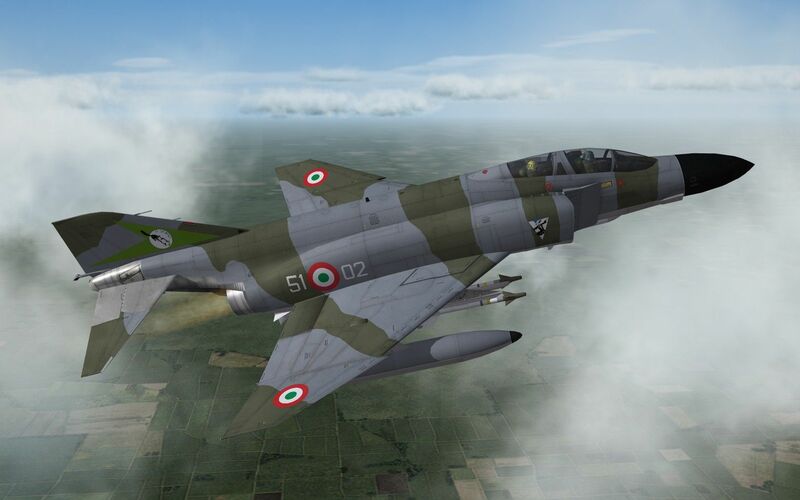 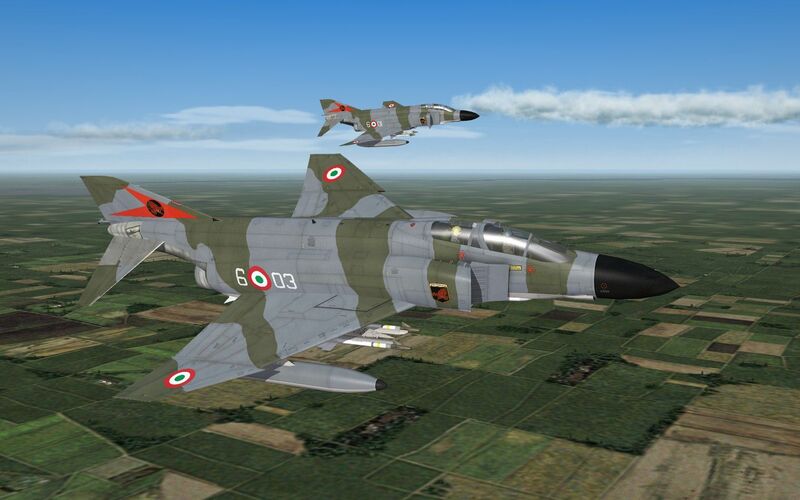 The long-awaited Mirage 2000 by 'The Mirage Factory' group of modders was released today and it's a beauty and I've used the French desert camo skin to create a Dhimari version. 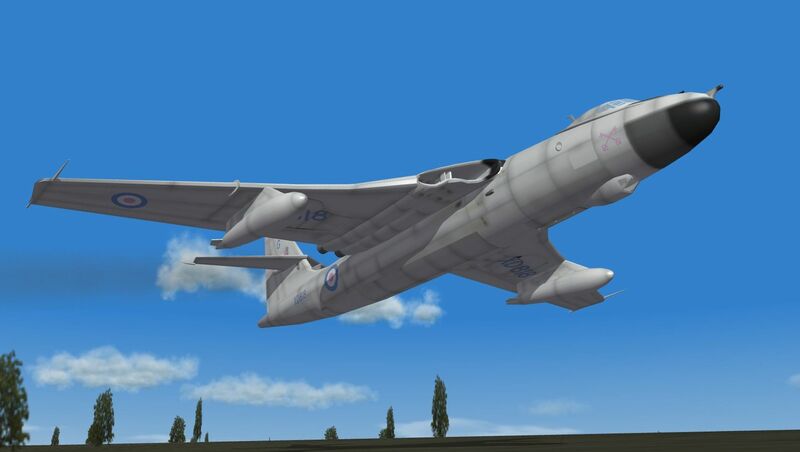 From an idea from one of the new members at Combat Ace who suggested the anti-flash white and agreed to my suggestion of pale blue/pale pink V-Bomber markings. 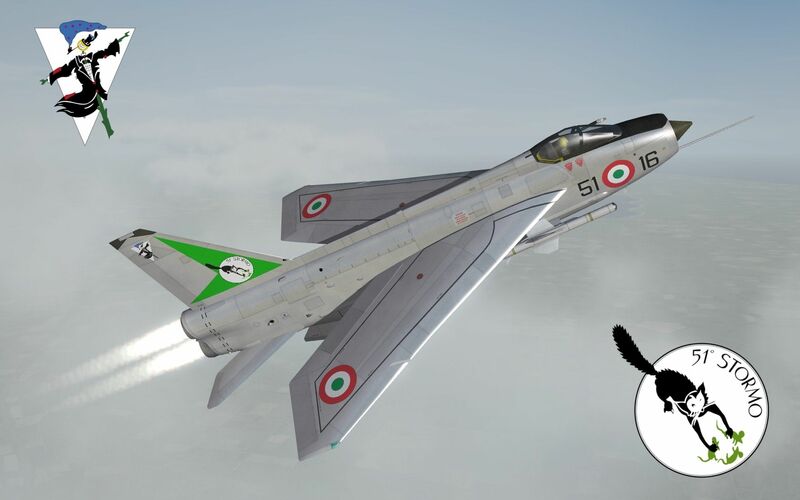 Pretty wild!! 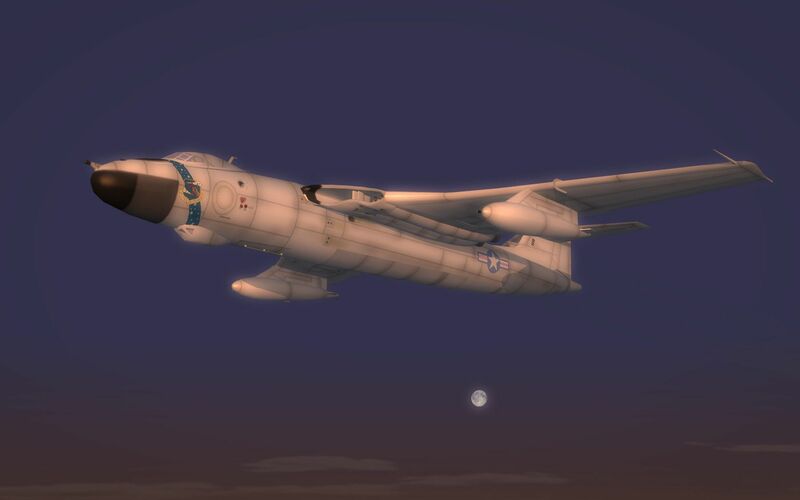 I just had to use my 'V-Bomber' starbar again! 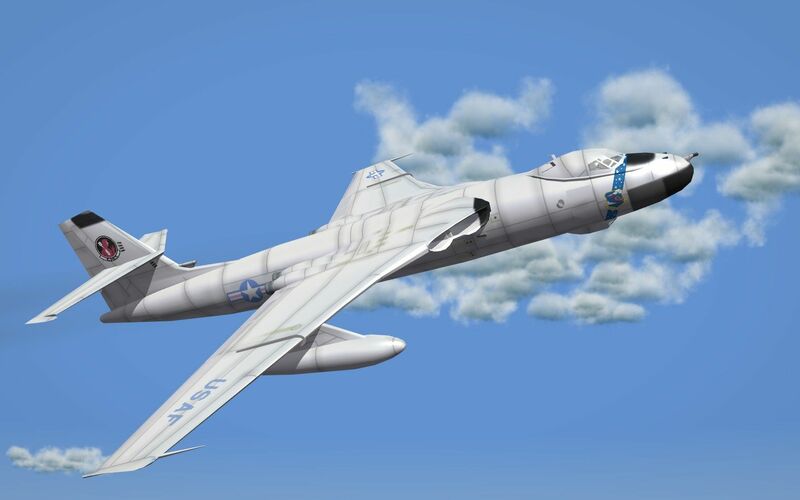 As there are no spare 'B' designations I've plumped for B-59 actually Boeing's unsuccessful supersonic bomber in a competion won by the ground-breaking B-58 Hustler. 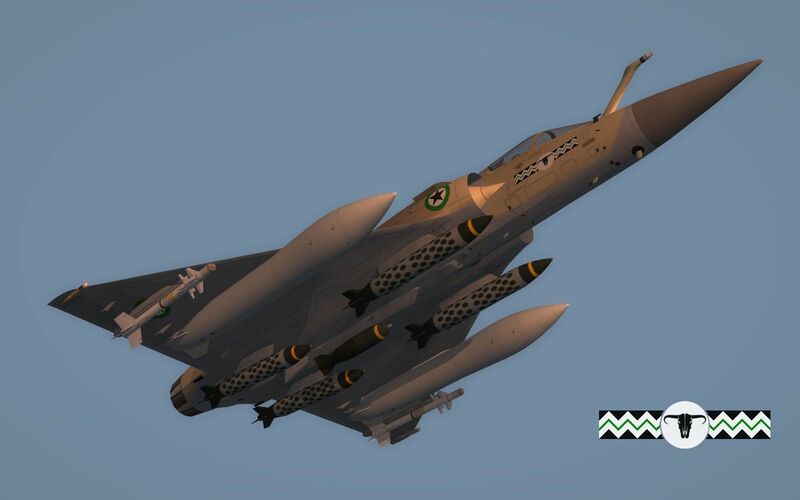 An amazing 'test range' mod was released recently and gives players an exciting new Desert terrain to zoom around in, a whole host on unmanned drones to shoot down and some very well detailed ground targets to bomb.